Dear Friends, This is good news that India's No.1 Shopping Channel "Homeshop18" added on DD Free dish platform at channel no.42. Now you can get amazing deals by TV. Homeshop18 have very popular shows like "Todays Special Offer, Dhamaka Sale etc. 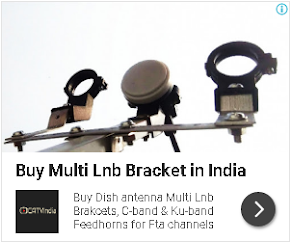 If you are not getting this channel, then you can tune your set-top box. Really thanks for sharing information on this subject. I was finding that answer from two days. Finely satisfied with your article. Also you can visit my blogs if you like it then please tell me by replying this comment.